Have you ever done so much at once that you felt like you couldn’t even function anymore, suffering from nursing school burnout? Well, we’ve all been there. Working super hard and trying to do every task at once is not the best way to be productive. In fact, it is more likely you will end up burning yourself out quickly if your attention is spread too thin. In nursing school, there is a lot of memorizing, client care, reading and practical skills. Add that to an entire life with family, a social life, work and other responsibilities, and it can get overwhelming. Learners sometimes just want to get everything done as quickly as possible then end up wanting to give up. How can you manage your life, family, maybe even a job, and avoid nursing learner burnout? Here are our top 6 tips to help you divide nursing school in to conquerable tasks. It is sometimes hard to really understand how much time goes into nursing school. You don’t get that coveted RN title behind your name without hard work and persistence. Start now by adjusting your expectations regarding the amount of time necessary to succeed. Make sure you’re devoting enough time for your studies. Having little time to study can cause stress, and make those precious hours fly by even quicker. Knowing you have enough time to succeed will help ease your mind and allow you to learn effectively. Adjusting your expectations will also help you avoid burnout since you’ll be prepared with the right mindset for nursing school. Using a planner schedule your days is a great way to ensure you are fully prepared to put in the required work. Preparation is another important step to success, and being a nursing learner requires lots of it. Prepare the week ahead of you. Plan the days you are going to study for tests and the days you are going to complete the necessary assignments. Many learners find it helpful to assign days to each class; Monday you work on math, Tuesday anatomy, and so on. Others find they retain more if they review the material frequently, which means that they will study each subject for one hour each night. Find what works best for you! If possible, think about the option of not working and getting a loan for nursing school, or at least cutting down your working hours so you can have more time and the ability to focus 100% on your studies. Are you in the right field? Is it what you really like to do? Or do you wake up every morning thinking how much you wish you could change your career? 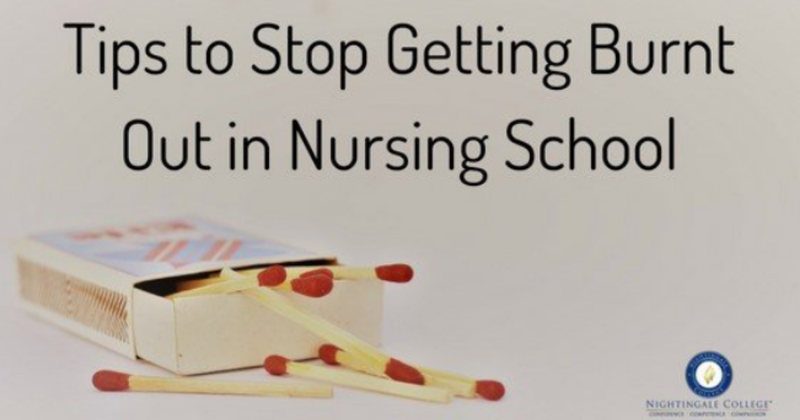 When you are able to do something you are passionate about, nursing school burnout isn’t as common among those who are not very aligned with the requirements of their position. Take some time to reflect and ask yourself if you are pursuing the right career. It is important to make sure to figure out which field you like the best, so you can be sure you’re on the right path. When you ask these questions and you find that the answer is no, that you’re not pursuing the correct career, ask yourself why. Is it the stress, the emotional fatigue, or dealing with people that worries you? In nursing, there are so many specialties you can choose from, each vastly different. Maybe you don’t have enough emotional stamina to handle trauma cases in the ER, but maybe you could work in geriatrics or physical therapy, or something else with a slower pace. Figure out which one you like the most and go into it to pursue the career that you love, and that will be a good fit for your personality. Nursing learner burnout can be caused by choosing the wrong program. Are you looking to get done fast, but the accelerated pace is burning you out? Or are you finding the advanced concepts of a higher degree too much for your brain to handle? Here at Nightingale, we offer an ADN Program and a BDN Program. An Associates Degree in Nursing is an intensive course that takes less time than the Bachelor’s Degree, but it is becoming more difficult to find an entry-level RN position that doesn’t require a BSN degree. However, you can complete an RN-to-BSN Program after you graduate if you decide to enroll in an ADN Program. At Nightingale College, the Associate Degree Nursing Program is 20 months, including prerequisites. This means that for 20 months, you’re living and breathing nursing school and nothing else. This program can be overwhelming for some. It requires full focus. It’s easier to fall behind and get burnt out in nursing school if you’re enrolled in an accelerated program. The Bachelor Degree in Nursing takes more time, 32 months including prerequisites, but it will secure your nursing future and open many more opportunities to nursing careers that require a BSN. The pace in a Bachelor’s Degree Nursing Program also tends to be slightly more relaxed. Also, consider if the program is online or on-ground and how this coincides with your learning style and life situation. At Nightingale, we offer hybrid-online nursing programs, with classwork online and experiential learning on-ground. Deciding which program is the best for you can make a huge difference. Take a moment to talk to one of your admissions advisors, professors or counselors to give you advice on what would be the best for you so you don’t end up in the throes of nursing school burnout. Click here to request an appointment with an admissions advisor. You will make some of the best friends you ever have in nursing school. 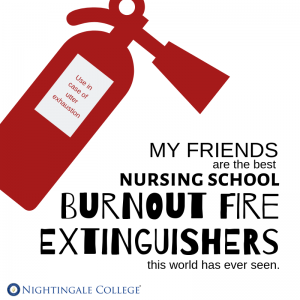 Friends that understand the craziness of nursing school can keep you sane and prevent burnout in nursing school. 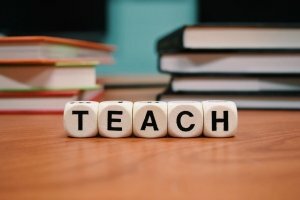 No one else can better understand the frustrating schedule changes, the early mornings, the demanding classes, and the unique challenges that rear their heads in nursing school. If you need help with your studies, someone to cry with, a ride, a word of encouragement, a smile, a drink, or a friend, your nursing cohort will be some of your most supportive allies. Simply knowing you’re not alone can do wonderful things for your sanity. Having trouble making friends? Maybe you don’t get along with people in your cohort or you feel that you can’t break into a click or clique. Some ideas to try are offering rides, bringing treats to share with the cohort, organizing study groups, encouraging others, and the biggest one, listening! Listen to others’ needs and you’ll soon find a friend. 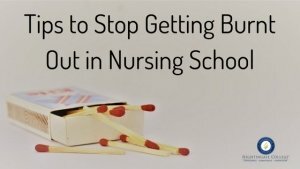 Did you ever think about all the resources already in place that help you to avoid burnout in nursing school? Many schools offer amazing resources for their learners. 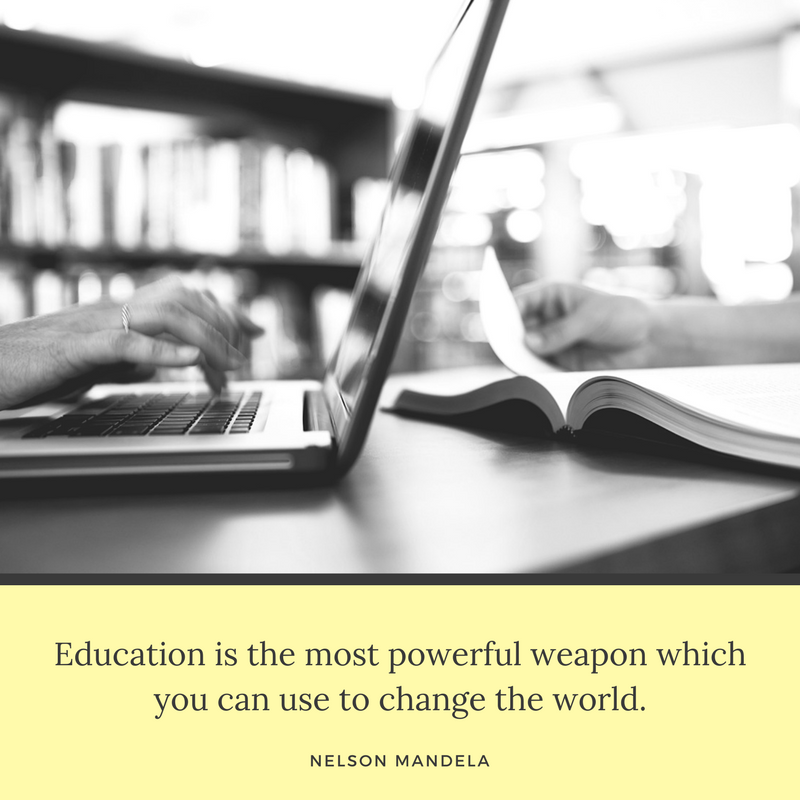 Research what your school offers, be it a librarian to help you research, a success coach, a mentor, career advice, counseling, extra tutoring, or office hours with a professor. An amazing resource that we offer at Nightingale College is Learner Advising and Life Resources. Contacting us, you can get advice on time management, study skills, course load, text anxiety and studying with ADHD. We also provide information about safety and security, housing, commuter services, child care services, money management, veterans support, accessibility, counseling and human development, career and LGBTQ resources. Utilize the resources available to you as a learner to avoid and prevent burnout. You can learn more about Nightingale College resources here. Treat yourself! Take a day off, get a family member to babysit the kids, go to your favorite restaurant, or even get a maid for a day. You need some time to relax and get your mind away from books and assignments. This is an essential step to get through nursing school without experiencing nursing learner burnout. Your health is one of the most important things you have and as a future RN, you will be an advocate for self-care and healthy well being. What would a nurse tell you about how you’re taking care of yourself? Would they tell you, or would YOU tell you, to eat breakfast more than once a week, prepare healthier snacks, and not drink 6 energy drinks a day? Think about what you can do to take care of yourself a little more. Nursing school is not easy, and there will be days where you feel like you want to quit, but we hope these tips will help you push through to graduation. The world is in desperate need of registered nurses. We’re proud of you for answering the call. You can make it, and you will make a great nurse! At each graduation, Nightingale College’s collaborators are almost as excited as the graduates. We love seeing our learners succeeding and achieving what they worked so hard for. The 52 candidates in the Summer 2018 graduating cohort were celebrated starting by the processional, followed by a welcoming speech and the presentation of honors. 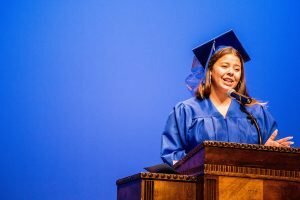 The valedictorian address was presented by Amanda Derby, who moved to Utah from Texas, temporarily leaving her husband, son and extended family behind to pursue her dreams. Her speech was beautiful and emotional. She shared with us that during her first final, her son passed away suddenly. She didn’t know how she was going to finish the semester or even graduate. But the one thing she knew was that she couldn’t not try. She studied, never stopped trying and never lost hope. After the valedictorian, Lynda Flynn, one of our area managers, did the reading of the names for the diploma presentation. There were a few whose names were too complicated for Linda to pronounce, so she let the graduates read their own name, giving extra comic relief. 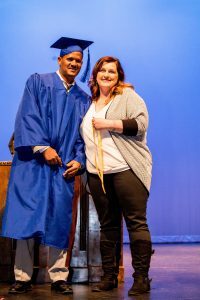 Then, collaborators, faculty, friends and family members had the opportunity to see and cheer for every single learner who got their diploma. It was a beautiful moment celebrating the graduates’ success. At Nightingale College, we have the tradition “Lamp Lighting” where all the graduates light their Nightingale lamp. Florence Nightingale was known as the “lady with the lamp” for her compassionate late-night rounds around the people that was hurt in the Crimean War. The lighting of the lamp represents Florence Nightingale’s values. Comfort, kindness, gentleness and courage, bravery and devotion to duty. 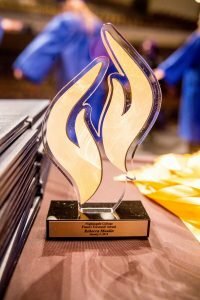 The graduates lit the lamp as a demonstration of Nightingale’s guiding principles: confidence, competence and compassion. “With full knowledge of the responsibilities I am undertaking, I pledge to care for my patients with all of the knowledge, skills, and understanding that I possess, without regard to race, color, creed, politics, or social status. I will spare no effort to conserve meaningful life, to alleviate suffering, and to promote health. I will refrain from any action which might be harmful to the quality of life or health of those I care for. I will respect, at all times, the dignity and religious beliefs of patients under my care, and hold in professional confidence all the personal information entrusted to me. I will endeavor to keep my professional knowledge and skills at the highest level and give my support and cooperation to all members of the healthcare team. Closing remarks were given by Vice-President of Partnerships and Business Development, Jonathan Tanner, who shared some thoughts about success and the importance of communication. 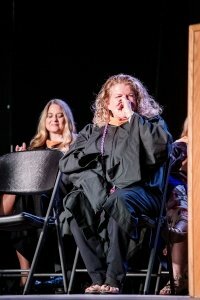 This graduation was extra special because our beloved Director of Nursing Education Services, Susan Jero, got to present the graduating class for her final time, as she is retiring. Our CEO, Mikhail Shneyder prepared a surprise for her that brought tears into our eyes. Shneyder presented the new scholarship Nightingale will now be offering: The Susan J. Jero Resiliency Scholarship. 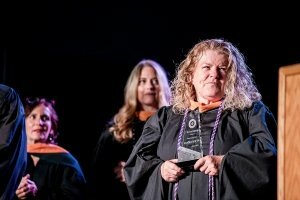 This scholarship will cover the entire cost of tuition for a learner who exemplifies what Susan Jero always has – the ability to overcome, rise up, and be strong. 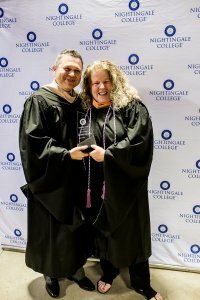 The presentation of the scholarship, as well as Jero’s subsequent induction into the newly created Nightingale Hall of Fame, impacted her greatly. We love you, Ms. Jero! 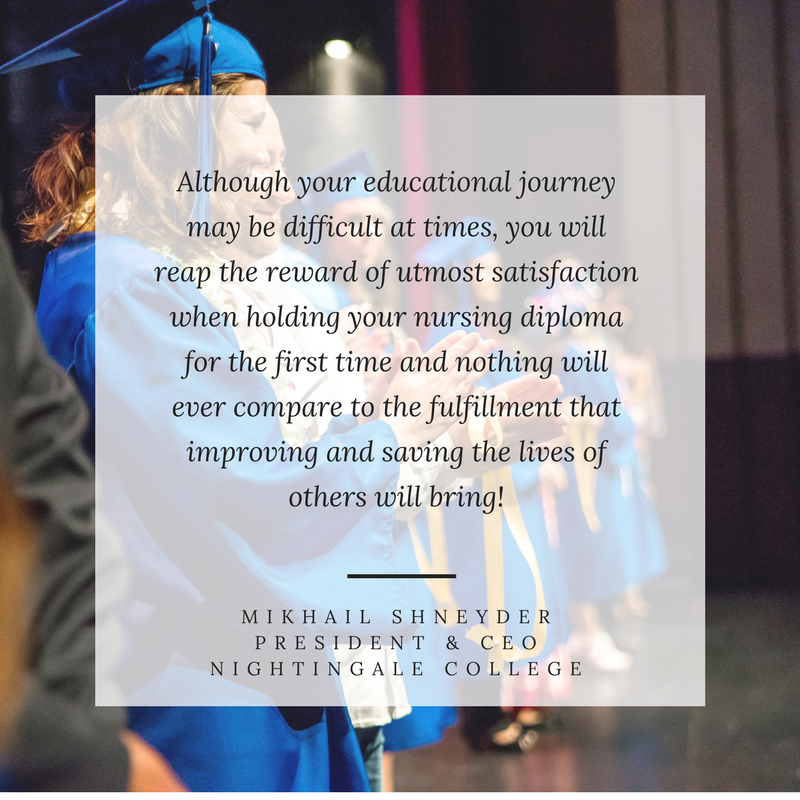 After Jero presented the candidates, Mikhail Shneyder conferred the degrees, and 52 college learners became nurse graduates. We are so proud of these nurses and all they have done to lift themselves and their communities. FLAME FORWARD, NURSES! Fathers are consistently concerned with becoming better role models for, providing for, and building a relationship with their children. 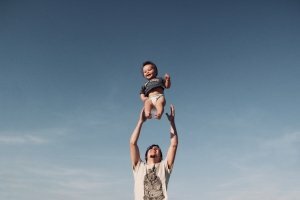 Nursing is an ideal career choice for fathers, but men sometimes shy away from nursing, viewing it as a women’s field, which is absolutely false. There are many reasons that nursing is a wonderful career for men, but today we’re going to discuss a subset of those – the top 10 reasons why nursing is the ideal career for fathers. There are lots of reasons people relocate, be it proximity to family, career changes, marriages, divorces, or other life changes. Sometimes, finding a career in a new area can be a challenge. For nurses, however, finding a new position is easy because nurses are needed in every state, and all around the world. If your partner finds a new job and you need to relocate, finding a nursing position is lightning fast. Around the nation and around the world, nurses have a bright future ahead of them, so you don’t have to worry about your career outlook. One of the most obvious reasons nursing is a great career for dads is the schedule. In most nursing positions, nurses only work 3 or 4 days a week in 12-hour shifts. While at first glance, that may sound daunting but it also means that you have more days off with your kids. You may get to do things that normal 9-5 dads don’t get to do, such as pick them up from school or watch their afternoon soccer games. You get to actually spend time with your kids, not just eat dinner with them and put them to bed. Even though spending time with your kids is the most attractive part of the schedule, an added bonus is the savings you pocket from not spending money on childcare for that time. As a nurse, you have knowledge that saves lives every day, and in an emergency at home, you could be prepared to save the life of those you love most. Maybe your toddler cuts his forehead on the coffee table. Does it need stitches? You can look and see. Your teenager felt incredibly dizzy after a football game – you know what to do. You have the knowledge that could help your kids and family through their bumps and scrapes. Look out, however, because in some cases this can be a double-edged sword for those parents who are quick to notice dangerous symptoms (is your teenager dizzy because they’re dehydrated, or could it be a sign of a brain tumor?). Even given this, most parents sleep better at night because of their knowledge of emergency medicine. Nothing tries your patience like parenting, but nursing comes pretty close. A chaotic shift full of patients with demands and needs that can’t wait, and people pulling on you and screaming at you often mirror life with kids. Being a nurse can prepare you well for a chaotic afternoon full of kids with demands and needs that can’t wait, and kids pulling on you and screaming at you. In similar fashion, kids’ body fluids are no longer a big deal, because you deal with it at work as well. In fact, compared to what you’ve seen and smelled on your shifts, it’s not even going to be a problem. Prioritizing needs is a skill that you refine as a nurse – should I get that patient an extra blanket first or pass meds first? Should you comfort your two-year-old who is screaming for more apple juice or stop a fight, put out a fire, clean up the legos, cook dinner, or listen to your daughter who’s going through a breakup? Nursing can help you not lose your mind when you have multiple needs to be addressed at the same time. One of the best things about nursing is the opportunity for career growth. Nurses are always needed, and good nurses are appreciated. Don’t be surprised if you see promotions coming your way a little bit faster than in another career. Nursing also has many school pathways that can accommodate your needs. Need quick entry into the nursing workforce? 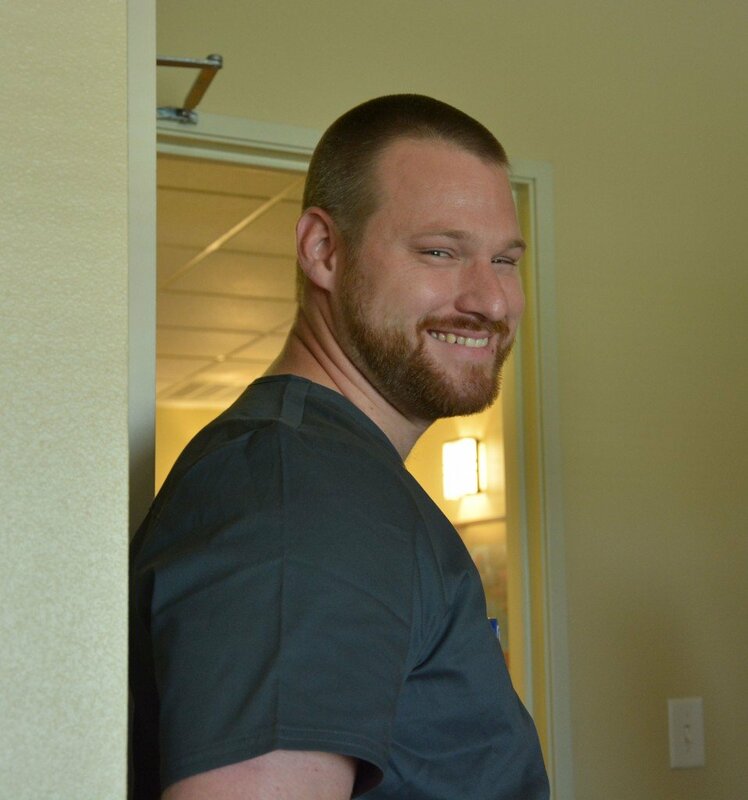 With an ADN (which can be as few as 20 months in some programs), you can get working quicker and then you can advance with an RN-to-BSN later on, which opens more doors into management and more advanced and higher-paying specialties. Alternatively, you can choose to go straight to a BSN Degree. As a nurse, especially if you work nights, you will be used to the demands of long hours at work. Or if you’re still in school, the clinicals in our ADN and BDN programs, which are sometimes very early or extremely late, will make you forget sleep was ever a thing. When your 5-month-old baby won’t sleep at night and you need to stay up for another two hours to rock them back to bed, you’re prepared to keep going the next day as if nothing happened. Although you’re not invincible, you’re better prepared to function on low levels of sleep than normal dads. Nothing teaches you respect for all people like nursing. One of Nightingale College’s values is Respecting Humanity, which is a core principle of nursing. In the nursing field, you have to leave all judgement behind and just care for people. Caring for someone who has overdosed, or who has not taken care of themselves, or who may not look or act the same way you have been raised to do is a basic requirement of nursing. In fact, in order to become a nurse at Nightingale and most other schools, you have to pledge to do so. Nightingale’s pledge reads “I pledge to care for my patients with all of the knowledge, skills, and understanding that I possess, without regard to race, color, creed, politics, or social status. I will spare no effort to conserve meaningful life, to alleviate suffering, and to promote health.” That unconditional understanding and empathy is one of the most valuable things you could instill in a child. Although all the reasons above make a convincing case, the closer is being a strong role model for your kids. Having a respectable, reliable career that pays well and still lets you be with your kids is something that will leave a lasting impression on them. Nursing will help you teach them when to say no, the importance of education, compassion, hard work, empathy, grit and strong boundaries. And because you have developed these traits, YOU will have the ability to extend compassion, strong boundaries and the rest of those attributes in your own relationships with your children. Nursing is not only a great career for fathers, it can make those who are fathers BETTER fathers by providing extra practice in respecting humanity, triaging needs, and allowing for more time with the family. From scheduling to life lessons, nursing has something to teach everyone. Learn about how to become an RN in 20 months or less at Nightingale.edu/learn-more. 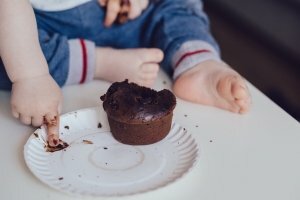 Can you be a parent and in nursing school at the same time? 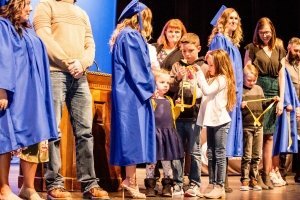 Well, mom and dads, there is good news for you: Many successful nursing students and graduate nurses are invested parents, juggling a job and family skillfully and successfully. Nursing school is not easy, as you’ve probably heard. It requires a lot of sacrifice and dedication to stay on top of your classes and carve out set time for studying. You’ve probably researched how many hours of study it takes and worry that you won’t see your kids very much. Your next question may just very well be whether nursing school and pursuing your passion of becoming a nurse is worth it. 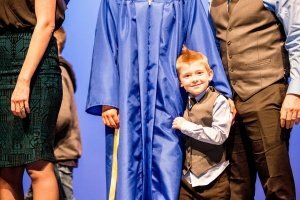 Is becoming an RN worth missing out on some big moments in your kid’s life? Is nursing worth missing your ten-year-old’s soccer game and being deemed (for the meantime at least) “the WORST mom/dad EVER?” Is nursing worth putting your baby to bed then staying up for three more hours to study before finally falling asleep in the early morning hours? According to our learners and graduates who are parents, the answer is a resounding YES! There will be times you can cuddle your babies, and times where you need to study. It’s a give and take. You will still be their parent. You will still love them, and they will still love you. 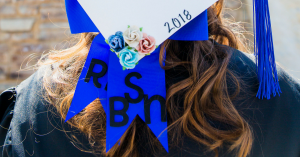 Not only that, in 20 months (for our ADN program) or 32 months (for our BSN program) you will be the “BEST mom/dad EVER” when you can spend time with them and put a roof over their heads and food on the table – because you are a registered nurse. Our current learners who are parents provided a few tips to keep in mind. Having a support system is crucial to completing the program and should be in place even before starting school. You need people who will make you dinner in a crunch, who will drive your kid to soccer practice because you have a clinical, and who will support you when you need to study. Everything comes at a price, so be prepared to make sacrifices for your education, including family time. Do you really want to wait another 15 years for your kids to be out of the house before becoming an RN? You will have the same dilemma in a year or two, so start now, and you can be working as a nurse in a year or two. You are doing what is best for your family. You can make it. It will only last a few short months! Just think of where you are, and where you could be in 20 months (or less for LPNs!) with a stable career as a nurse. After you become an RN, you can also complete our fully-online RN-to-BSN program, which is only 12 months. Don’t wait until your kids are older, let them grow up with a nurse as a parent! Keep in mind every time they want you to come play that you are sacrificing now so that THEY can have a better future. You are doing this for them! 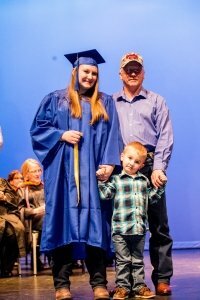 According to our graduates, the answer to the question “Can you be a parent and a nursing student at the same time” is YES! Can I be a mom and a nurse? Yes! Can I be a dad and a nurse? Yes! 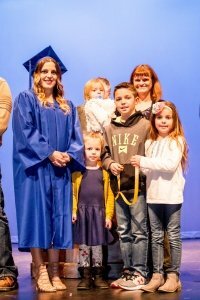 Can I do nursing school with a baby? Yes! You can do it! It will be difficult, but it is possible, and it will improve your children’s lives. So don’t wait. Build the support system, make the sacrifices, remember you’re preparing for a better future and jump in. Learn more about our ADN Program by clicking the button below. Volunteering and giving back is something that Nightingale College values. Florence Nightingale, our inspiration, went miles above and beyond her duty as a nurse when she was helping soldiers in the Crimean War. As our values statement reads, “Florence Nightingale, the founder of modern nursing, lit the way for success with her unwavering values. Today and always, we commit to following her path of going Beyond Self.” Volunteering is the best example of going Beyond Self. Twice a year, all collaborators participate in Give Back Days to give back to our community. This past August, we volunteered at OWCAP, an elementary school for kids in poverty, and at the Humane Society of Utah. To read a recap of the event, click here. We also encourage our collaborators to volunteer on their own time. Mac McCullough, our Regional Manager of Partnerships, was recently recognized as a Hometown Hero for his extensive volunteer work. 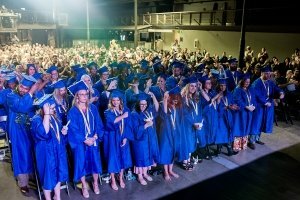 Although more people volunteer in Utah than any other state, Mac has managed to pass the state’s average in leaps an bounds. We want our learners to volunteer and give back to their community as well. We hope that our programs inspire our learners to go above and beyond their duties as a nurse, to not just churn patients out like machines, but really care for and love each one. It benefits your health! It has been shown that when people volunteer, they are less likely to be depressed later in life because it gives you a sense of purpose. This also helps to boost self-esteem and self-worth. You can meet likeminded people. It can be difficult as an adult to make friends, especially friends with similar interests. 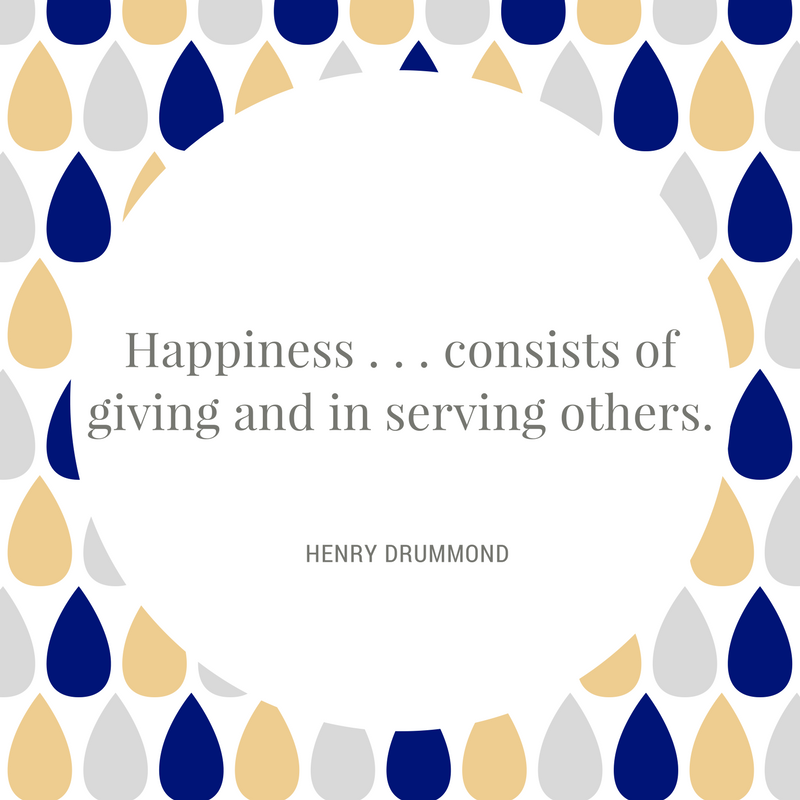 When you volunteer for an organization you are passionate about, you will meet other individuals who share the same passion. You will learn new skills. There are many different things you can do when volunteering, and most of the time, you will learn a new skill for free! It is great for your resume. Especially in the health field, you can learn new technique, take that back to the work place, and put it on your resume. Employers like to see that you are giving back to your community and gaining knowledge while doing it! You will have fun! Volunteering is a great activity to do with your family, especially young children. It will teach them that you do not have to sit in the house to have fun; you can have fun outside, helping your community and people in need. Research different organizations and find one that you are passionate about. What interests you? Mental health? Physical therapy? Geriatrics? There are so many opportunities to serve. You can also search different organizations in your area for opportunities. Think about your skills. Volunteering in the medical field can give you more experience and is something you know how to do. You can volunteer in your area of expertise to really help people in need. Volunteer with friends and family. It is great to start volunteering with your kids when they are young so they can grow up with these values. It is also a fun way to spend time with your family and friends that is different and fulfilling. Taking your kids to visit an old folks home is an easy way to spread some kindness. We all know that the nursing profession is not an easy one, and by no means a stress-free one. So what do nurses do to handle the stress and emotional trauma after a tough day at work? We often forget that nurses are people too! They have feelings and sometimes they need a good cry just like everyone else. When their patients are extremely ill or even pass away, the nurse is often left feeling the pain long afterwards. Mikhail Shneyder, our CEO, was once a nurse himself. He said the profession is built on “unwavering dedication, personal sacrifice, and all-encompassing empathy.” Sometimes that empathy may get to be too much for nurses. Don’t you hate it when the answer is exercise? But it’s true. According to the Anxiety and Depression Association of America, “Exercise and other physical activity produce endorphins—chemicals in the brain that act as natural painkillers—and also improve the ability to sleep, which in turn reduces stress.” All four of the nurses we interviewed mentioned some kind of exercise as a way to lighten up. Long walks, especially in nature, are definitely favorites, because it allows them time to ponder and come to terms with the events of the day. They also mentioned running and yoga. Somehow, nurses always manage to move on. Aren’t they incredible? They still come to work the next day, ready to help the next ailing soul, even though they know that disaster could happen at any moment. That’s why nurses are so special. They witness so much pain, yet are always willing to lend a hand again and again. They know the value of health and life, and they don’t take it for granted. Amanda said that after a traumatic event or a death, she goes home and remembers to hug her loved ones a little tighter that day. What are some ways you cope in stressful, even traumatic, situations? What does it mean to be a nurse? While there are many answers to this simple question, anyone who is a nurse will describe the meaning differently. 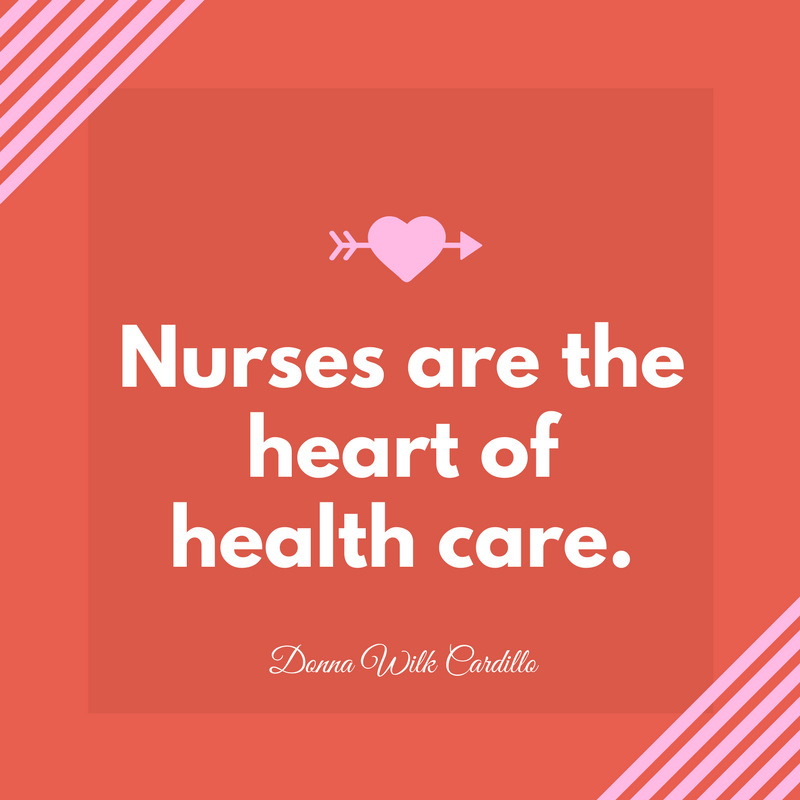 From taking care of patients who are at their weakest to having the opportunity to change the entire experience for a patient, there is no doubt nurses bring a lot to their communities. 1.Nurses are in high demand. Did you know that there is a nursing shortage? A nursing shortage that over one million nurses are needed to remove the need? The nursing shortage is experienced by both large and small communities. Within your own community, there are health care facilities in need of trained and qualified nurses to help take care of patients. In many facilities, the nursing shortage has become more of a concern. Facilities are not able to provide enough nurses to maintain staffed units. Understaffed units lead to a risk in the quality of patient care provided. Facilities are highly motivated to bring competent nurses on staff that they have developed recruitment strategies such as sign-on bonuses that are very attractive to job-seeking candidates. The numerous nursing positions available across the country give nurses the freedom to relocate easily at any point during their career. Why not join a profession that not only helps you grow but a profession that will celebrate having you on board? 2. Nurses enjoy financial and career stability. Widely known is the handsome salary nurses receive annually. To review nurse salary by state, read our latest blog article Nurse Salary by State: Which US State Pays Better. According to the article, a nurse’s salary may reach as high as $94,000 per year (see California statistic). While we don’t endorse becoming a nurse strictly for the financial gain it provides, the nursing profession offers a sense of financial security that many other careers do not. Likewise, nurses have career stability and mobility. An important factor is ensuring that the career path you have chosen will be able to sustain you for years to come. Nurses will always be needed in patient care. For example, patients have more interactions with nurses than they do with their doctor. Again, nurses are in high demand. 3. Nurses are one of the top most trusted professions. Gallup Poll released research that showed nurses ranked the highest for the 15th year straight for ethics and honest. Check out the research by clicking here. Joining such a prestigious profession lends a sense of beyond self, respecting humanity, and integrity (which, by the way, are three Nightingale values). Enjoying work is the key to a happier life. While nurses experience many situations that are devasting, they still have the opportunity to make a difference in their patient’s life. What a rewarding career to choose. 4. Nurses are endeared and loved by their community. Have you heard the numerous stories told by nurses of how they ran across past patients and their families, and were thanked for what they did? Can you imagine how it would feel to be appreciated for helping someone in their most vulnerable, weakest moments? Everyone can reflect on an experience they had with a nurse. Why not be the person they remember as their “superhero?” Not all superheroes wear capes. Sometimes they rock scrubs and slip-resistant shoes. 5. Make the jump and become a nurse like you have always wanted to be. Many people go about their lives without pursuing their dream job. Why? Maybe because of time. Maybe because of financial burdens. Maybe even because they believe it is too late to be a second-career adventurer. 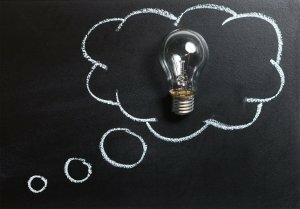 Whatever the reason may be, toss the idea aside and evaluate where you are and where you want to be. Eventually, you will conclude all these reasons are only excuses that are barricading you within your comfort zone. Make the most out of your life and enjoy a career that is rewarding, challenging, and constantly giving back. Start by researching nursing schools that fit your need and get moving! It is up to you to make your dream career happen. Are you ready to get started on your nursing journey? Can we recommend Nightingale College? Check out our ADN or our RN-to-BSN Program. We are ready to help you become the nurse you have always dreamed of being. How does your focus rob you from reaching a high level of productivity? Let’s explore. It’s ten o’clock Tuesday night (or any night, you pick). Wanting to get enough sleep to attend the early morning clinical you have been assigned to, you decide to get to bed at a decent hour. Tucked into bed, your eyes are glued to the brightly lit screen. One more pass, scrolling mindlessly through your Facebook feed. Before you know it, an hour—maybe two—have passed. Fast forward to clinical the next morning and you are exhausted, not ready to tackle the day nor have the focus to learn. How about another situation? Imagine this. You sit down motivated to start studying for the big final exam that will determine whether you pass the class. Checking your schedule, you’ve set aside three hours to dedicate to throwing yourself into your studies. Note cards positioned right above the pencil, a bottle of water and snack at the ready. Twenty minutes in, a ring disrupts the silence. Lucky for you, your friends just commented and liked your post, sparking a conversation that has you smiling ear to ear and laughing. Finally, you check the clock an hour and half have slipped passed without notice. Let’s explore one more example. Today in class, you are learning something new and something that you really didn’t understand from that week’s reading. The instructor is reviewing the subject in detail. Hammering on every possible angle and answering questions that would have been helpful to know, but you missed it. You weren’t focused. Instead you were stealthily checking your phone. Going through your emails, replying to texts about the weekend plans, and quickly clicking on every Facebook notification that rang on your phone. Refocusing on the class topic after all notifications have been answered or in the very least reviewed with delicate attention, you notice that you missed every single detail and the instructor has moved on to the next topic. In each scenario, something valuable to that moment was stolen—focus and ultimately, productivity level. Time is unforgiving and before it is noticed, hours have passed with little productivity. We are all victims to technology and it is hard to really unplug from our electronics and focus. Focus on bettering ourselves, our knowledge, and our future. However, it becomes more challenging when we are fighting the urge to reply to a text, scrolling one more time through Facebook to watch those quick cooking videos or check out what our friends are up to, and answering less-than-urgent emails that can wait until later. How many of you reading this have been in such a situation? A situation where you reflect, knowing that you could have been more productivity if only you had unplugged from those darn electronics. Writing this, I know there are more instances than I can count. Committing fully to nursing school is a continuous effort. Yes, effort because it requires a lot of focus to nail those nursing concepts and skills. After all, a person’s health will be in your hands. Let’s talk about three strategies to help you become more productive with your time in nursing school and ways to leverage your attention to succeed. Of course, this is not a thorough list but top recommended strategies. Unplug from those electronics. First, let’s cover the number one distracter: your electronics. Staying connected with others is important. Living in the twenty-first century, technology regulates almost all aspects of day-to-day activities. When it comes to studying and maximizing your focus, unplug from your electronics. Turn your phone on silent and tuck it away out of view. You won’t be sidetracked when your phone lights up with a message or tempted to reply. Trust me, those messages will still be there when you are ready. If you live with family or roommates, let them know that the time you allotted is your focus time and to not disturb you. Disable any notifications on your computer that will distract your attention. A computer and access to the Internet does not make is any easier to focus. With a click, you can be looking up the best prices for the vacation getaway that you are looking to book or shopping the latest trends at your favorite boutique. But how will that help with your upcoming exam? It won’t. So, disable your email notifications and do your best not to divert away to the Internet, if is not necessary. Take frequent breaks. It is reported that a person can normally hold focus for about twenty minutes. Twenty minutes of uninterrupted study time is plenty to get you started on the right foot. Frequent breaks allow you time to get up and walk around, stretch, and grab a snack. Refreshing your mind is crucial to focusing. Focus hard for twenty minutes then take a quick ten minute break. Have you found yourself often loosing track as you started to drift away from focus to start thinking of other things? Whether it be daydreaming about what you will do to celebrate the end of the semester or your dream job, there is a time for that and it is not during your set study time. Take time during your breaks to let your mind wander, but make sure you have the power to draw yourself back in to study mode. A great way to get back into study mode is to put on music that helps you focus or take one to two minutes after your break to review where you left off. Set a to-do list. Many people benefit from making to-do lists. While you set aside time to study, jot down several things you will accomplish during that time. Going to review your class notes from the other day? List it. Wanting to get started on the homework you have been putting off for a few days? List it. Needing to answer a few discussion questions and looking to email your instructor with questions from last night’s reading? List it. You will be more productive if you know what you want to achieve during the time. Plus, every time you check an item off your to-do list, you will feel more productive. What are some ways you stay focused and harness your attention to be more productivity? Looking for help staying focused? Visit with the Learning Advising and Life Resources (LALR) Department and review the services the department offers that can help you and your productivity. Helpful article include Time Management, Study Skills, and Test Anxiety and Studying with ADHD. Sometimes all you need is an inspirational quote to remind you that the hard work is worth it, to brighten your day, and to motivate you while in nursing school. Here are 17 nursing quotes that we love and wanted to share with our nursing learners. It was November 1, 2016. Dressed in matching blue shirts and donning the team name of The Lifesavers, Nightingale College learners and instructors in St. George put into practice the Beyond Self value by dedicating three hours to package food for the homeless shelter and disadvantaged for the Day of Caring sponsored by United Way Dixie and Switchpoint Community Resource Center. 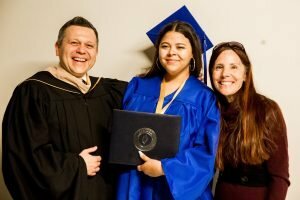 As a goal of 100,000 meals, the efforts of not only Nightingale College’s learners and staff but the community exceeded the goal to reach 100,656 meals. With over 500 enthusiastic volunteers, the group put together packaged meals that feed up to six people. Read the full article covered by St. George News. Click here. Scrubs are the vital uniform for nurses, but no matter how important, scrubs are often overlooked when it comes to being presentable. After a long shift, your scrubs will be in worse shape and will need a definite deep wash to remove germs from the fabric, which is why nurses are asked to keep their scrubs clean—for the safety of patients, visitors, and fellow healthcare employees. It may be strange to consider that the appearance of scrubs can have such a big impact when interacting with other nurses, doctors, and patients. But nurses need to pay close attention to the impression they make when they are sporting wrinkly, stained, dirty scrubs. Taking care of your appearance while in nursing school should be a main objective. During labs, learners are instructed to dress in the professional nursing attire for a reason. Scrubs are often the item that is considered last. Clinicals are an important time for learners to practice networking with potential employers and fellow nurses who can be a great resource when scouting for references to accompany a job application. And the way you keep your scrubs says quite a bit about you, your hygiene, and your character. Insider Tip: When making a first impression, a person has less than seven seconds to impress another individual. Many first impressions are made based off of a person’s appearance. Even before the conversation or interview begins, the first impression has been made. Nursing learners have a great opportunity to network in a variety of healthcare settings during clinicals. It is a prime location and time to get a foot in the door if it is an organization that is desirable. 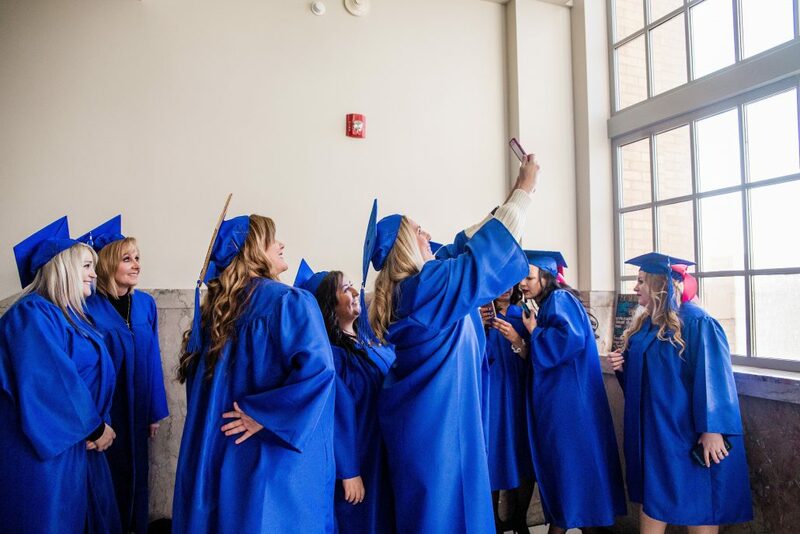 Upon graduation and passing the NCLEX-RN, graduates can reconnect with influential people employed at the desired locations and investigate the facility’s hiring needs from an inside source. Make it your goal to leave the best impression you can by not only showcasing your competences but by showing you value your appearance and are interested in representing the employer well. Sneaky? Not really, just smart. So why do clean scrubs matter? Reason #1: It speaks to your work ethic. Part of being a nurse is having comfortable clothes that can withstand long hours of wear and tear. It is understandable that nurses do not always have the time to get ready nor have the time during a shift to tidy up. However, the way you take care of yourself illustrates your work ethic. If you have the patience and make the time to care for yourself and your scrubs, it shows that you pay attention to the little things, which will spill over into your work environment. Having the right work attire also influences the response you will receive from others. 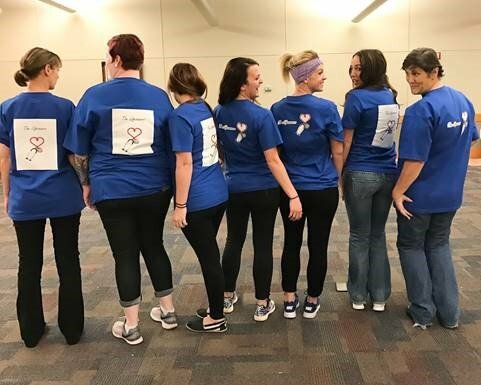 Nurses with tidy, clean scrubs elicit a more positive and engaging response from those around them than nurses wearing scrubs that were not taken care of. Reason #2: It makes a good impression. Continuing on from Reason #1, clean scrubs make a good impression on fellow colleagues, administration, and patients and visitors. A nurse donning clean scrubs eludes to confidence and value in the job. Imagine a nurse coming in for a shift with dirty, wrinkly scrubs, then a fellow nurse coming in for the same shift with clean scrubs. As a patient, which nurse do you hope to take care of you? Unfortunately, appearance does make a big impression, especially in the healthcare field. People associate dirty and untidy with disease ridden. Think of clean scrubs on the same level as washing your hands and wearing gloves. The scrub material catches germs and whatever else ends up on the material just as your hands can be exposed to the same elements (which is why healthcare professionals are required to wear gloves). Nurses do not reuse gloves. Think of your scrubs in the same sense and remember to care for them and wash them after every shift. Reason #3: You will feel professional. It’s about dressing for the job you want. When you take the time to get ready for work each day, what you wear can influence your outlook. Putting on clean scrubs right before a clinical or a shift helps you feel prepared for your day instead of looking in the mirror wishing you could iron out the wrinkles on the left side of your scrub top. Have pride in yourself and your job, and show that you do care. It is your professional appearance and your brand that you are endorsing so do it well. A famous saying is dress for the job you want. Surprisingly, this statement is very much true. Reason #4: Scrubs are expensive, so give your scrubs the best treatment. Nice scrubs can be expensive to purchase, especially the brands that provide extra comfort and allow you to easily move without rubbing against brittle fabric or the fabric that fits terribly. Just as it is advisable to get yourself a good pair of shoes that provides exceptional support, invest in a few good pairs of scrubs. Once purchased, take the utmost care in washing your scrubs twice to remove all germs and right out of the dryer, take a few minutes to fold them to reduce wrinkly lines so you don’t resemble a crumpled mess. Keeping scrubs clean is not always at the top of the list while in nursing school. While you are being stretched so thin balancing work, school, and sometimes a family, it is hard to remember to throw the scrubs you used earlier today in the wash and iron out the wrinkles. But it will make a big difference in your future career as a nurse. So why do clean scrubs matter? Once employed, you become a reflection of your employer and employers want their nurses to represent their organization well. You, as a nurse, should take pride and value in yourself and the nursing profession. Professional appearance matters a lot. What does this mean for those still in nursing school? Pay special attention to who you interact with while at your next clinical. Even though you may not interact directly with the DON or the recruiting manager, people will come to know you and they will be able to speak to your appearance. Take the time to care for the scrubs you wear and make sure your appearance is a positive reflection of you as a great nurse. While attending a lab or clinical, make sure that you adhere to the policies about your professional appearance and never, ever underestimate the state of your scrubs. It’s the impression you make about you, your work ethic, and your character. Read 4 Scrubbing Essentials for Safe and Tidy Scrubs to learn how to properly clean scrubs by clicking here. Check out Your Professional Presence: Advice on Dress and Appearance to review helpful tips and review the basics of professional appearance by clicking here. The humerus is connected to the. . . Not sure. Having difficulty in anatomy? Look no further. This app covers the essentials of human anatomy and is completely 3D. Hopefully Mr. B. would approve of this app that is all about medications and prescriptions. Train yourself to know what specific medications looks like, the drug interactions, what it’s used for, and more. Medications are a risky business, so ease the stress by taking the time to learn about them. It is never too early to start studying for the NCLEX-RN exam. This app is based on NCLEX questions and tests your competency level. Don’t worry, each question includes a detailed explanation of the answer. NCLEX-RN Mini Qbank also has practice tests and much more. The more NCLEX support you can get, the better! It can be difficult to memorize eponyms, so it is important to regularly practice the terms. As the name suggests, this app gives short descriptions of more than 1,700 common and obscure medical eponyms. Staying up-to-date with health care news and research is a must for nurses, especially in this ever-changing profession. Read by QxMD helps you stay current with new medical and scientific research. This app is a next-generation clinical calculator and decision support tool all in one. Calculate by QxMD is a robust app with many activities to help diagnose and treat patients as well as ease the decision-making process. MD exLabs gives medical professionals lab values in a quick, easy to understand format and differential diagnoses for abnormal lab values. Searching for new resources that are available should not be overlooked and there are many apps out there to try. Apps can be found on Pinterest, through a blog, or by simply searching through the app store. Convert your phone to a study tool that can be used on the go. If you have an app you love that is helping you with nursing school, let us know so we can share. Military nursing is a unique profession that involves caring for active-duty servicemembers and even veterans. While their duties do not differ much than that of normal nurses working in hospitals and care centers, military nurses travel alongside active-duty servicemembers to help care for the individuals that serve the county. Up until 1901 in the United States, military nurses were nothing more than civilian nurses who usually volunteered their time. However, it all changed when the United States Army Nurse Corps was established in 1901. Today, military nurses hold military rank and can be part of any of the Nurse Corps of any major military branch, including the Navy, Air Force, and Coast Guard. Military nurses care for patients within the military and from around the world. As with all nursing careers, there are a number of disadvantages and advantages to working as a military nurse. Military nursing can be extremely stressful and often heartbreaking. It can also be dangerous, since it’s not uncommon for military nurses to be deployed to foreign war zones with troops. Despite the drawbacks of the career, there are also a number of benefits. For instance, military nurses have the chance to travel and see the world, have access to first class education and are often well compensated for their time, and have excellent benefits such as free healthcare. One of the biggest rewards of working as a military nurse is the experience gained and the respect earned from colleagues and loved ones. What Can You Expect as a Military Nurse? Military nurses often follow their assignments all over the globe. As a military nurse you can look forward to a fast-paced, multifaceted, patient-facing, and invigorating career in patient care. Similar to other nurses, military nurses administer medication, treat the sick, and care for the wounded. However, military nurses are not only educated in basic nursing skills, they’re also trained on how to work with military patients and in military environments. It is not uncommon for nurses to work alongside military personnel in war zones. Caring for deployed members of the military during wartime is one of the most dangerous and difficult aspects of military nursing. During deployment military nurses treat severe life-threatening injuries, such as gunshot wounds or lost limbs. Because of the severity of the injuries and volatile work environment, military nurses must be able to keep a cool head under pressure. Military nurses also care for active-duty servicemembers and veterans along with their families. They may help soldiers, wounded in the line of duty, recover from their injuries. Military nurses may also treat patients suffering from a vast variety of medical problems, ranging from the common cold to a sprained ankle to cancer. The military needs nurses trained in all specialties, so you can work in whichever specialty you choose: pediatrics, psychiatric, emergency trauma, critical care, neonatal, midwifery and more. How do I Become a Military Nurse? Speak with a military recruiter. You may find a tuition reimbursement or scholarship. Enlist to work as a military nurse for a certain number of years after completing the program. Pass the National Council Licensure Examination (NCLEX – RN). Undergo officer training through the branch of military you wish to serve in. This training educates you on leadership skills and military life. During the training, you will also be required to complete and excel in physical exercises. Start working as a military nurse. To learn more about the steps to becoming a military nurse, visit Discover Nursing, sponsored by the Johnson & Johnson Foundation. Nightingale College is proud to be part of the White House’s Joining Forces Initiative by providing educational opportunities to servicemembers and their families. The College accepts Post-9/11 GI Bill as well as offers the Joining Forces Scholarship to active-duty servicemembers and veterans. To learn more about the opportunities for service members and their families to enroll in the College, speak with an Admissions Advisor or with a member of the Learner Advising and Life Resources Department at (801) 689-2160. As a nurse, you will be in constant communication with physicians, and it is important to make sure you’re communicating effectively. A common response Career Services gathers from Graduate Employer Surveys concerns how new nurses struggle to communicate effectively and appropriately with physicians. Interacting with physicians may seem intimidating as many veteran nurses still experience some sort of anxiety, but physicians can’t be avoided and it comes with the job. Here are several tips to prepare new nurses to be effective communicators at work. 1. Understand that physicians are busy. Having experienced the same stress, nurses understand the constant pressure physicians face from other physicians and nurses, patients, patient families, and so on. Being professional in every interaction is crucial and always keep in mind that physicians appreciate nurses who are able to “get to the point” so that they can move forth with their tasks and seeing patients. • Asks the physician what they need (recommendation). 3. Speak up and be an advocate for your patients. Be assertive. Don’t be aggressive and don’t be afraid to talk with the doctor. However, show respect in all communication efforts. Poor communication plays a huge part in the decline of patient safety. As a new nurse struggling to decide whether a situation is urgent enough to call the physician immediately or wait until rounds, imagine the patient is your child, mother, or father. What would you do? The level of compassion should be the same for any patient. 4.Document everything. When speaking with a physician about a patient, always document the conversation and what is said. This is for the protection of not only the nurse, but the physician and patient. Keep a notepad and patient chart close at hand to jot down the date, time, actions to take, medications to update, etc. 5. Report inappropriate behavior. If a physician is acting unprofessional and/or jeopardizing patient care in any way, it is your job to report them. Make it a priority to know your chain of command and what policies and procedures to follow when reporting a physician. Nurses do not need to be anxious or scared when conversing with a physician. Despite what may be the belief, many physicians do appreciate and respect the observations nurses have because nurses interact frequently with the patient. Be prepared with the patient’s information, and act quickly and speak directly. Communicating effectively with physicians comes with practice but these surefire tips will help get any new nurse started in the right direction. What we all want more than anything is to have a happy life. In fact, it’s for that very reason that we pull ourselves out of our warm comfortable beds each morning, put our best foot forward, and prepare to take on the world. But what is happiness? Happiness is when what you think, say and do are in harmony. We all know that having a positive attitude feels better than having a negative one. We tend to focus on and even exaggerate the bad and ignore or fail to acknowledge the good. Why is it that humans are naturally drawn toward the negative? A friend of mine always says to her vocal students, “No negative down. No negative across.” Spreading negativity down refers to negative self-talk, while negative across refers to involving others in negative feelings toward someone or something, instead of directly addressing the cause of your unhappiness. Neither of these are productive or healthy. How do we establish and maintain a positive attitude? Here are a few steps that are important in creating a habit of positive thinking and thereby living a happier life. I believe that happiness is choice. You have the choice to experience happiness just as you have the choice to be unhappy. Some of our choices are good and others not. Regardless of the nature and outcomes of our choices, all are based on our deep and compelling desire to be happy. That’s the beauty of freedom of choice. It’s our decision and we get to decide how our story will unfold. Just like any other habit, believing that we have to make a conscious decision daily to be happy will not be easy, but I promise that when you do, it will be the one of the best decisions you have ever made. The discipline and determination required are admirable and will not go unnoticed. Learning you are in control of your happiness, which no one can take from you, and realizing that it’s up to you to choose how to react or feel about it is a good place to start. Toxic relationships often come hand in hand with negativity. If you want to live a joyful, tranquil and happy life you cannot afford to be surrounded by negative people who are discouraging your happiness. Here are a few ideas to help cultivate heathier, happier relationships. Minimize the time you spend with toxic individuals. Limiting time spent with those you deem toxic is the ideal solution, if you are unable to completely remove them from your life. Set clear boundaries. Know when to speak up and let them know that although you love them, their negativity is not welcome. Surround yourself with positive people. Fill your life with positive, high-energy people, and you will find you have less room for those who are negative. Think about your life. Is there someone who makes you feel special? Someone who makes you feel confident or even empowered? That is the type of person who will bring positive energy to your life. Seek those individuals out. Find someone you admire and assimilate their actions and enthusiasm for life. Many of us let fear and anxiety impair our ability to move forward and achieve the things that make us happy. Think positively. According to New Thought philosophy, the law of attraction describes the idea that by focusing on positive or negative thoughts a person brings positive or negative experiences into their lives. You may have heard the saying, “positive thoughts beget positive results.” As we think negatively, we increase the chance of negative things happening. However, the more positive we are and the more we believe in ourselves, more positive things will come our way. One tactic is to focus on the things you want to do and imagine yourself doing them. This will you to overcome the fear and anxiety you feel. Imagine the feelings of happiness and fulfillment you will receive from doing the things that you choose and want to do. Feed your spirit. 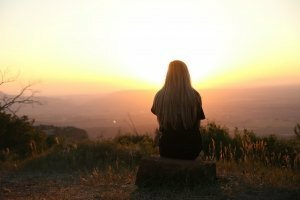 Give yourself sufficient alone time to contemplate the meaning of your life. Take this time to write in your journal, read uplifting text, organize your day, listen to classical or rejuvenating music, go for a nature walk or a run. Do anything you can think of that will center yourself. Meditation is a great way to clear your mind, push out the fear and anxiety, ridding your thoughts of negative and refocusing on the positive. Doing these things in the morning is a great way to set the tone for the rest of your day. You need to love where you live. The neighborhood you live in has a huge impact on the outlook you have on life. Moving is a life–altering decision, but it may be the best option for you. It’s never too late to make a change. Get involved in your community. As Gandhi said, “The best way to find yourself is to lose yourself in the service of others.” The more time you focus on others the less time you have to be self-centered and damaged by negative self-talk. Getting involved in philanthropic programs makes a positive impact on the world around you, ultimately, making you feel positive about yourself and about life. Love what you do. We may not always have the luxury of choosing our employer, but when we work with negative individuals it can be severely draining. If the morale of the company is extremely low, your work environment can have a tremendously negative impact on you and your overall outlook on life. If this is the case, it is in your best interest to look for a new employment opportunity. Learn from your past experiences and seek prospective employers who have a reputation for providing a healthy, positive culture. If you really look you can find positive aspects in everything and everyone. Each person or situation has good aspects or characteristics. In order to choose happiness, we can’t simply sit idly by and allow things to happen by default. People fool themselves into believing that positivity coincides with happiness. This is simply not so. Everything, the good and the bad, provides a learning experience. You can take away a positive from even the darkest of experiences, if you try. Maybe you learn from a mistake or remind yourself of the good that lies in people; whatever it is, seek it out and nurture it. In 1905, behavioral psychologist BF Skinner introduced a new term into the Law of Effect: Reinforcement. He said that behavior which is reinforced tends to be repeated (strengthened); behavior which is not reinforced tends to die out-or be extinguished (weakened). As with any kind of training, practice makes perfect. The most effective way to create a positive attitude is to think positively about yourself. Tell yourself daily that you love and completely accept who you are. But be honest with yourself. It is all right to not like everything about yourself, but don’t spend precious time or energy dwelling on the negative. Do make a concerted and consistent effort to look for the good. Nothing good comes from belittling yourself about your self-perceived faults. We all have positive attributes; focus on those and remind yourself of them every day. The best way to put your new positive attitude into action is by not only being positive about yourself but also to those around you. Nelson Mandela once said, “As we let our own light shine, we unconsciously give other people permission to do the same.” Share your happiness and positive energy with everyone you meet. How do you start? Be nice. Pay compliments. Let your loved ones know that you value them. When you see someone in need of comfort, cheer them up. Write someone an anonymous note, send them flowers, or maybe more simply, just be their friend. Don’t gossip. Hold your tongue. Think before you speak, and choose your words carefully. Show respect and kindness to all living things. Go above and beyond the golden rule and treat others better than you would like to be treated. Encourage, support, and influence those in your circle. Pay it forward, meaning when something uplifting happens to you, pass it on. Do all these basic things and watch the impact they make on your confidence and happiness—but more importantly on the lives of those around you. It may not be easy at first, but I promise it is worth the effort. Life is too short to be unhappy or to waste on negative thoughts and feelings. Believe in yourself, choose to be happy, and remember, a positive outlook on life is a constant conscious choice you are privileged to make for yourself every moment of every day. All living things appreciate positivity. The more you share it with others, the more you reinforce that habit in your own life. We all have those days when we feel unappreciated and when the very thought of starting another day makes us want to stop before we even begin. Don’t let the unhappiness and detachment caused by burnout threaten your job, your relationships, and your health. Take hold of your life and learn the signs to recognize and avoid burnout before it happens! The nursing field is filled with ups and downs that you are not always able to control, but when you feel the nursing burnout blues approaching, you can regain your balance by reassessing priorities, making time for yourself, and seeking support. Burnout is a state of emotional, mental, and physical exhaustion caused by excessive and prolonged stress. It occurs when you feel overwhelmed and unable to meet the constant demands that influence your daily activities. As the stress continues, you begin to lose the interest or motivation that led you to take on a certain role in the first place. Burnout may reduce your productivity and lowers your energy, often leaving you feeling helpless, hopeless, cynical, and resentful. Eventually, you may feel like you have nothing more to give. For further information on how to recognize and avoid burnout utilize your EAP account provided to all Leaners by Nightingale College. If you need information on how to register for you free account please contact jlowe@nightingale.edu If you have never accessed your EAP account now is the time! It is a great resource offered to you. Simply go to http://www.higheredeap.com/ to register for your account. Every year students need to renew their FAFSA (Free Application for Federal Student Aid) for the 2016-2017 year. Dealing with financial aid can seem tricky and complicated at times, but it is important to stay on top of the deadlines associated with the 2016-2017 FAFSA. 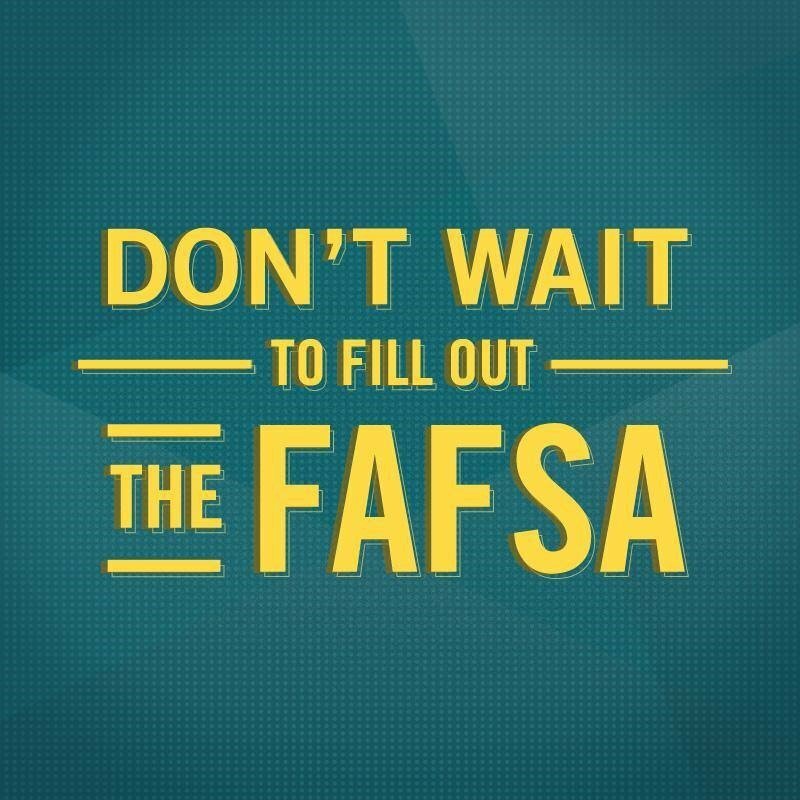 Now is the time to renew your FAFSA so don’t wait! To qualify for Federal Student Aid, FAFSA applications must be completed and submitted by June 30, 2016. Follow the guidelines and steps below that will help make the FAFSA Renewal process as stress-free as possible. The Financial Aid Department is here to help at any point during the process. Make an appointment with a Financial Aid Advisor now to get assistance: (801) 689-2160. Start renewing your FAFSA by visiting the Federal Student Aid website. Who needs to fill out the 2016-2017 FAFSA? You need to fill out the 2016-2017 FAFSA if you will be attending Nightingale College during the Summer Semester that starts May 2, 2016 and the semesters following. The Summer Semester falls under the 2016-2017 FAFSA timeframe so don’t let the dates confuse you. When does the 2016-2017 FAFSA begin? The 2016-2017 FAFSA begins on July 1, 2016. How does the FAFSA correlate with my taxes? It is advisable to hold off on your 2016-2017 FAFSA until you have completed your 2015 Federal Tax Return because you will need the correct financial information from 2015. I don’t know if I should fill it out. If you are unsure whether you need to fill out the 2016-2017 FAFSA, do so anyways or speak with a Financial Aid Advisor who will be able to guide you in the right direction. How do I complete the FAFSA? Completing the FAFSA isn’t as complicated as one may think. If you have already completed the 2015-2016 FAFSA, your information will automatically be transferred to the 2016-2017 FAFSA. If this is your first time completing the FAFSA, you will need to start a new FAFSA. Visit FAFSA.ed.gov to get started. What about my FAFSA ID number? Don’t forget to remember your FAFSA ID number and keep that information private. Do not share your FAFSA ID number with anyone. However, if you do forget your FAFSA ID number, you’re not alone. You can easily reset it by visiting the website and either receiving the reset password link through email or by providing personal information. With approximately 104 areas that nurses can specialize in, there is a field that suits almost every personality and individual. However, when it comes to analyzing which field is the right fit, finding the right nursing specialty can be a bit overwhelming. The good news is that nurses do not have to be stagnant in one field, but can adventure into the different disciplines sometimes with only a bit of additional training. Before digging into the different areas, it is important to determine the type of degree and certificate that is required. Many nursing fields only require an ADN, but more advanced positions may entail a BSN degree or a specific nursing certificate. Deciding the time allotted to obtain further degrees and certificates should be a deciding factor. Moving along, decipher the type of job characteristics that align with the job desired. Determine some of these characteristics: multifaceted, patient-facing, independent, managerial, structured, research-oriented, fast-paced, and multilingual. Lastly, select the top nursing categories that gauge interest: advanced practice, emergency, psychological, clinical, family, surgical, community, management, and women’s health. (Visit Johnson & Johnson to view a more in-depth look into each category by clicking here.) Also consider the lesser-known nursing specialties such as forensic nursing, telephone-triage nursing, correctional nursing, concierge nursing, flight nursing, and travel nursing. It is recommended that new nurses do at least two full years in the medical-surgical unit to solidify the nursing fundamentals before deciding a specialty. 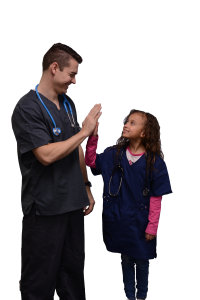 Taking the recommended two years allows nurses to acclimate to the transition from nursing student to registered nurse and paves the way for them to become confident in their skills and knowledge. It is also important to note that many nursing specialties require a BSN degree, while others even ask for Master’s level preparation. Take a stab at the questions below to hone in on your personal characteristics that you will want to keep in mind once you are ready to select a nursing specialty. What type of environment do you feel comfortable in? Do you like to work individually, with a small group of colleagues, or with a larger team? What did you most enjoy about nursing school? Are you motivated to continue your education if needed? What will be your nursing specialty? Click here to take the test, provided by the Johnson & Johnson Campaign for Nursing’s Future! r Kervin is a force to be reckoned with. 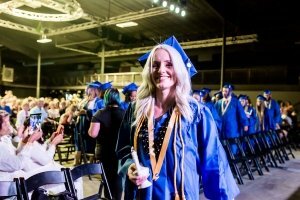 In just a month, she graduated from Nightingale College, took and passed the state licensure exam, and accepted a job as an RN in Salt Lake Regional Medical Center’s ICU department. She started her nursing education in the Deep South but quickly was relocated westward by the military. However, Summer didn’t let the move stop her from getting her education and becoming a nurse. 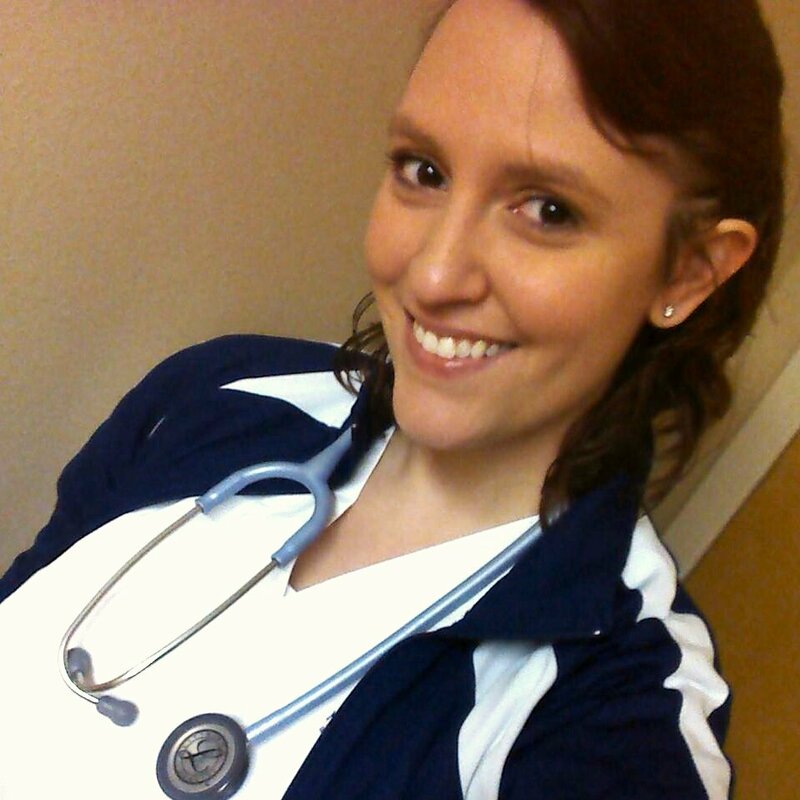 Here is her experience with Nightingale and some insider tips about the NCLEX. When did you graduate from Nightingale College? I graduated from Nightingale College on January 8th, 2016. Why did you choose to attend Nightingale? I chose to attend Nightingale College because they had no waiting list to get started. 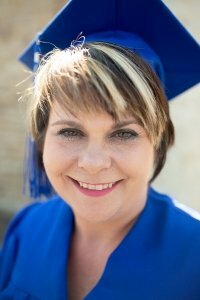 I had previously attended another nursing program in Alabama but was unable to complete my degree before our family was transferred to Montana by the military. I was very anxious to get my classes going again so I could finish my degree. I had also heard that Nightingale College was more military family friendly. What was your favorite/most memorable moment while you were in nursing school? What I enjoyed about nursing school most of all was the amazing people who not only became my classmates, but also some of the best friends that I will ever have. Our initial clinical group from 1st semester became extremely close, and we got each other through one semester at a time. Nursing school comes with a lot of stress among other things. What challenges did you face and how did you overcome them? It is not easy at all to balance classes, clinicals, work, family, and try to keep your sanity all at the same time for four semesters. At times, it seemed so much easier to throw in the towel and stop trying your best just so that you can get through. During those times, I just had to step away from school stuff for a while. Personally, I would take several hours to just let my mind let it all go, whether it was by taking a hot bath, reading a book (not a textbook, haha! ), or knitting. You have to remember to take care of yourself. When did you start preparing for the NCLEX? While technically I have been prepping for the NCLEX ever since I first started nursing school back in 2009. I began faithfully studying around the last month of school. I intended to schedule a time to take the NCLEX as soon as possible after graduation. I felt like the longer I waited, the more I would possibly forget. How did you prepare for the NCLEX? The Kaplan course that was provided by Nightingale was very helpful. The instructor shows you how to break down the questions and think them through, even if you have no idea what the questions are talking about. 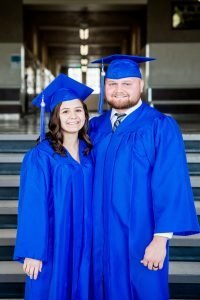 After graduation, I did all of the NCLEX practice questions I could find, including the Kaplan website that was provided for us during school. I also purchased a Kaplan practice book from the book store for extra practice while we were on vacation after graduation. My biggest tip would be to practice questions rather than try to cram information. Share your NCLEX experience. Where you nervous? How did you feel once you completed the exam? How did you feel when you learned you passed? I had originally scheduled to take the exam during the last week of January, but after checking the Pearson Vue website daily, several earlier testing times became available. So I opted to go ahead, reschedule, and take it sooner. Going into the exam, I was more anxious to get it over with than nervous about it. By using the Kaplan method for breaking down questions, I felt like I was doing pretty well. And for once in my life, I was thrilled to see select-all questions and charts pop up since that meant that I was getting higher level questions. I was fully prepared to be in the testing room for the entire 6 hours for all 265 questions. So you can only imagine my shock when the computer screen went blank after 75 questions! The testing proctor thought it was pretty funny while she was watching me on the computer monitor when I suddenly sat up really quickly in my chair and looked panicked. My first thought was, “No! I really do know what I’m doing! I can’t be done already! I’m smart, really I am!” I felt like I was going to be sick. The two days of waiting to find out if I had passed was the worst! I was checking the DOPL website constantly to see if my name would pop up when trying to verify my license. Then early in the morning on January 21st, while my husband was getting ready for work, I checked the website again not really expecting to find out anything. But there it was…my full name saying that my RN license was active! I started crying hysterically, much to my husband’s concern, haha! The relief was overwhelming. Looking back, is there anything you would have done differently when preparing for the exam? At the time, I kept wondering if there was anything else I could do to prepare for the exam. I did thousands of practices questions, reviewed lab/electrolyte normal values, and attempted to memorize drug names, which had never been one of my strengths in the first place. But I truly feel like there was nothing else I could have done to prepare. What advice would you give to other nursing students and recent grads who are about to tackle the exam? My biggest tip would be to breathe, take your time, and do NOT psych yourself out. When you start to psych yourself out and doubt yourself, you start to go blank. Remember to think like a nurse! You know what to do. More than likely, the answer is related to ABCs, Maslow’s, or myasthenia gravis. Now that you have passed, what is the next step for you? I am now a Telemetry RN in the ICU department at Salt Lake Regional Medical Center. I worked there as a CNA prior to finishing school and also completed my preceptorship hours in the same unit. It feels great to finally have RN behind my name. My next step is to complete my bachelor degree, work toward getting my CCRN certification, and possibly a master’s degree down the road. Have you had an experience you want to share about the NCLEX-RN and don’t mind being spotlighted? Email Emily at Marketing@nightingale.edu with your information. We are always looking for great stories to tell. Josh Fowles is currently in his fourth semester at Nightingale College. Not only can you see him in our Compassion commercial, but Josh is one of the Learner Ambassadors. As a learner ambassador, Josh is responsible for representing his cohort through discussing issues revolved around learner interests and needs, planning learner events, and participating on the Academic Program Advisory Board. What level are you currently in? I am currently in my fourth semester. What inspired you to become an RN? Being an accident prone boy I had a lot of experience on the receiving end of good nurses and I would like to provide that great care for someone in the future. What type of nurse do you hope to be? I am currently fascinated with ICU nursing. I have enjoyed close interactions the nurses have with the critically ill.
Why did you want to become a Learner Ambassador? I like to help people. I thought that I could offer my help to my entire cohort by becoming the Ambassador. As a Learner Ambassador, what are your favorite parts of the position? I enjoy the opportunities I have to represent the needs and desires of the cohort to the director of the ADN program. Nursing school is indeed difficult. What tips can you provide that have helped you along your journey in nursing school? Make a calendar with everything on it. Everything from your personal life, your family life, your work life, and of course your school life. Schedule the time you have to work on specific assignments, tasks, quizzes, etc. then follow the schedule. I always schedule some brain relaxing time in between assignments. This is usually about 30 minutes. I can use this time to finish in case I did not plan enough time for the activity, but usually it lets me de-stress and get ready to focus on the next task. If you schedule every minute of your day then it is much easier to follow. What is your advice for those currently in nursing school and those that want to attend nursing school? Ask questions, seek answers, and then apply it to something. So far, you have experienced the many trials that come along with nursing school. What has been your most difficult challenge thus far? There are still parts of the nursing world that feel only women can be nurses. I had a set of clinicals in one of those units where every nurse there kept telling me I did not belong, not just on their unit, but not in nursing. I had to constantly remind myself why I wanted to be nurse and at times I had to rely on positive feedback from my peers and eventually I was able to ignore the sexist negativity that I was receiving. My most difficult course has been pharmacology. There are no short cuts. Study and memorize and try to apply it. That is the only way to learn all those drugs. I see myself in either one of two places. I will either be an ICU charge nurse, or I will be in school working on my Masters. Possibly both. If you weren’t interested in becoming an RN, what would you be doing? I would be teaching the Martial Arts. I love being a Certified Black Belt Instructor. What are 3 characteristics a nurse should possess? Honesty (to self and others), Compassion, and Self-Motivation. Share anything else you would like people to know about you! I love my family! My wife and I have been married for 10 years and have 4 children with one on the way due in June. Thankfully after graduation. I love the outdoors! Hiking, hunting, shooting, fishing, camping, four wheeling, rock climbing (still learning), playing sports like baseball and football. I also like board games Settlers of Catan, Ticket to Ride, Alhambra, and especially strategy games like Risk, Monopoly, and Chess. I have three movies that I can watch almost endlessly: A Knight’s Tale, Searching for Bobby Fischer, and Sweet Home Alabama (with my wife).